Party Season for the Responsible Workplace..
Tis the Season to be Cautious. Christmas season is sneaking up on us and with it brings Christmas Parties and Festivities. Don’t get overwhelmed by the increasing harassment and bullying claims – prepare early and avoid all the heart ache! Most organisations plan wonderful events to encourage team bonding and networking to celebrate the year. It is also important to bear in mind as a responsible employer that this is the time of year where health and safety, harassment and discrimination policies get their most use and not in a good way. As a responsible employer being aware that any Christmas event on or off site is subject to the same employer and employee obligations as any given day in the office. 1. 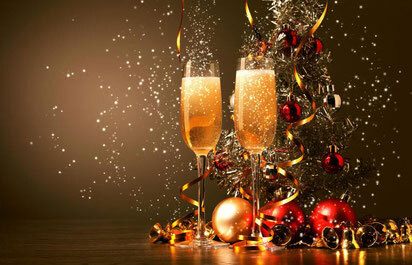 Prior to any event - ensure workplace policies (including codes of conduct for work related functions and responsible alcohol consumption) are up to date and employees have been reminded (by email) of their application to the Christmas function and the potential consequences (including termination) for any breaches. 2. Have a clear start and finish time for all events and ensure transport home has been organised and communicated to staff. 3. Enforce you duty of care and take all reasonable steps ‘to prevent discriminatory or harassing conduct’. An employer’s responsibility extends to the actions of their employees during, on the way to and on the way back from office Christmas parties. Individuals engaging in discriminatory or harassing behaviour in connection with their employment may also (either jointly or separately) be found personally liable for these actions. 4. Monitor responsible service and where possible consumption of alcohol. Ensure enough food is offered as well as non-alcoholic and low alcohol options. 5. Fostering a workplace culture whereby workplace policies are shown to be supported and reinforced by all levels of management and consistently applied throughout the organisation is always a good idea. 6. Ensuring that workplace policies include a comprehensive internal complaints procedure and that all complaints (no matter how small) are promptly and properly investigated. Above all this is an end of year celebration. By following a few guidelines this can be a stress-free fun occasion! If you or your business needs assistance with polices like this please contact your local HR Coach or the HR Coach corporate office on 1300 550 674.